United Airlines has had a rough go the last few years. Their in-flight product and service are considered by many to be sub-par compared to competitors. Additionally, their online platform has failed repeatedly, which has caused confusion for travelers. As with any airline, first class is a much better way to experience United. However, they are in the process of phasing out their first class product in favor of their new Polaris business class product. Let’s dig into how you can book United’s first class product before it is no longer available. What Makes This a Great Redemption? Each seat in United Global First has direct aisle access and is lie-flat. Image courtesy of United Airlines. If you’re looking for an out of this world experience like Emirates first class, the United first class experience is going to be a bit of a letdown. United Airlines provides a decent product, but you won’t get the luxury experience here as you would on Emirates for example. Each seat is lie-flat and has direct aisle access, but they aren’t enclosed suites like many first class products. Don’t get us wrong, lie-flat seats with direct aisle access are a great way to fly, but this is standard for a good business class seat too. A top first class seat needs more than that! Fortunately, if you’re flying United first class, you get some nice perks when you arrive at the airport. You’ll be offered Premier Access check-in, Premier Access priority boarding, and Premier Access baggage handling. Where available, you will also enjoy a Premier Access security lane to make the screening process quicker. The new Polaris lounge in Chicago is a great place to relax. Image courtesy of usatoday.com. While waiting for your flight, you can relax in the United Global First Lounge or the Polaris Lounge. Rather than fight through the crowds, you can enjoy complimentary drinks and food. If you need to take care of some work, you’ll also have a bit more peace and quiet to do so. Unfortunately, cards like The Platinum Card® from American Express do not offer entry to any of these premium lounges. 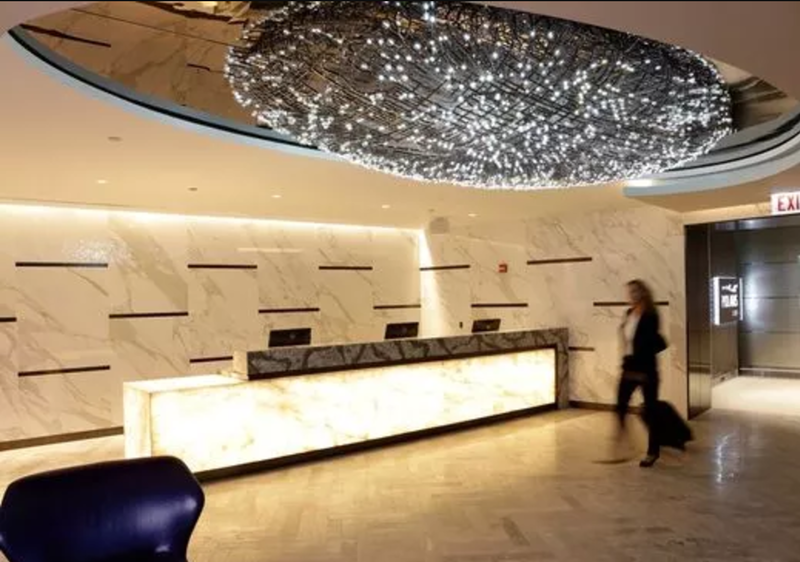 However, the Chase United MileagePlus® Club Card and the Chase United MileagePlus® Club Business Card do provide access to United Clubs – this does not include Polaris Lounges. As a member of Star Alliance, there are tons of partner programs you can use to book a first class flight on United. One of the easiest ways to book a United flight is through their own MileagePlus program. It’s a simple process with their online award booking platform. United’s own MileagePlus program can provide some good redemptions for first class. 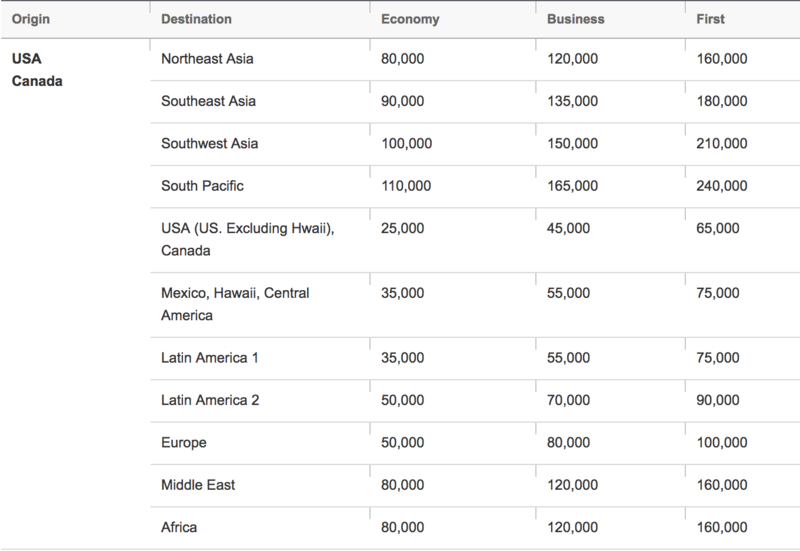 You can transfer Chase Ultimate Rewards at a 1:1 ratio if you need more United miles for an award booking. 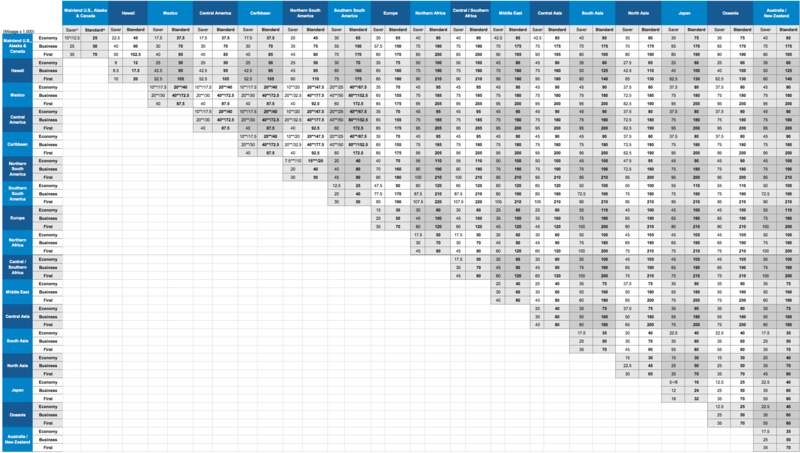 Hot Tip: Use our Transfer Partner Calculator to quickly determine how many miles you’ll get for transferring between programs. Make sure you confirm award availability on United’s site before you transfer Ultimate Rewards. If you’re looking for some other fun ways to travel, check out the best way to redeem United miles. Before you jump in and use United miles to book first class, check out Air Canada’s Aeroplan program. You might find it provides a better deal. If you have Amex Membership Rewards points, Aeroplan could be your ticket to first class. Aeroplan passes on carrier-imposed surcharges for many partner award bookings. Luckily, United is exempt from this, so your out-of-pocket cost will be more reasonable. If you are short on Aeroplan miles, you can transfer American Express Membership Rewards points at a 1:1 ratio. Transfers are almost instant. Finally, while it may not be the most well-known program, Asiana Club miles can be a great way to book United first class. Asiana Club provides a great redemption option to Europe. To book a United flight, you will need to call Asiana since they do not allow partner bookings online. You must reserve and have your ticket issued 3 days prior to departure, which prevents snagging last-minute awards. 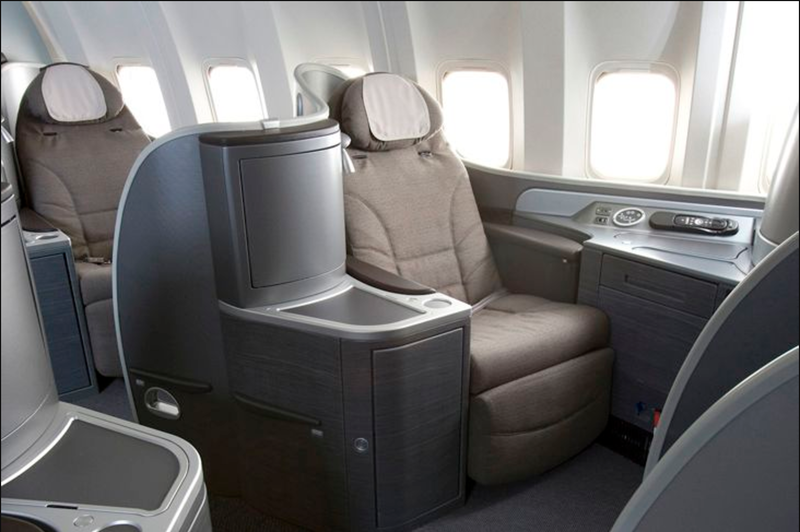 You can also book first class flights on United with ANA Mileage Club, Singapore KrisFlyer, or Avianca LifeMiles. While your first instinct might be to use United MileagePlus miles to book first class flights on United, that might not always give you the best deal. Let’s look at some of the best options for booking these flights. United’s MileagePlus program can also be a great way to book first class from the midwest to Tokyo. If you’d like to visit China from the west coast, both United and Asiana miles are a great way to help you get there. While Aeroplan might not provide the best redemption rates compared to United and Asiana, it’s a great program if you have lots of Amex Membership Rewards points. You can earn Marriott points and transfer those to United at a transfer rate of 3:1.1. Plus, for every 60,000 Marriott points that you transfer, you’ll receive an extra 5,500 MileagePlus miles bonus. If you need more Aeroplan miles, you have plenty of cards to choose from that earn Membership Rewards points. United releases award space 338 days prior to departure. Since first class space can be tough to find, it’s best to start your search early and check back regularly if space is not immediately available. While this isn’t a luxury experience, a comfortable seat on your long-haul flight might be all you need. Additionally, you’ll have a solid experience on the ground. 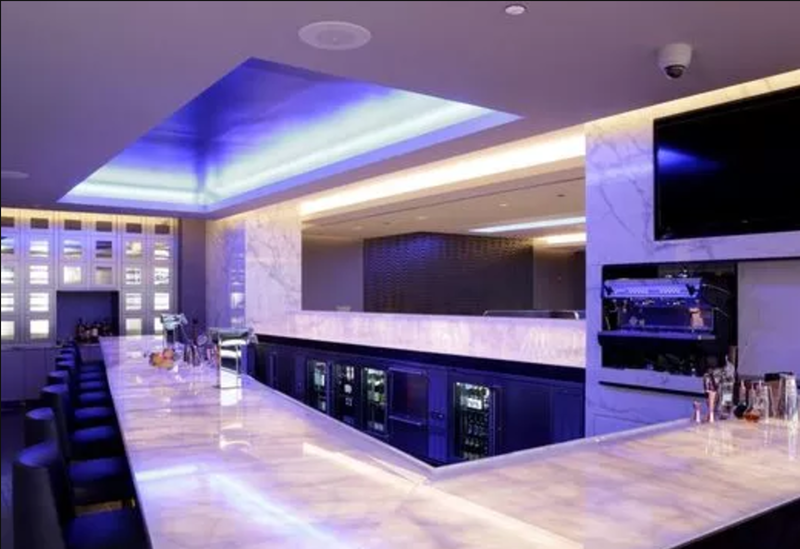 Have a cocktail at the Polaris Lounge bar while you wait for your flight. Image courtesy of usatoday.com. United has already launched the new Polaris lounge at Chicago-O’Hare. They are expected to open 8 more locations in the next few years at Houston International, Los Angeles International, New York-Newark, San Francisco, Washington-Dulles, Hong Kong, London-Heathrow, and Tokyo-Narita. From the choice of food at the buffet to the bar with an extensive selection of beer, wine, and spirits, the Polaris lounges are getting great reviews so far. As a first class passenger, you will receive access to United’s Arrivals Lounge in both San Francisco and London-Heathrow. After a long flight, sometimes a shower is just what you need to refresh before a day of tourist activities or a business meeting. United Global First might not be a premier first class product, but it is still a solid flight that will give you a comfortable ride. First class award space isn’t always easy to find, but you have plenty of options to book thanks to many partner programs. What’s the best way to book first class on United Airlines? Depending on your route, the best way to book first class could be through United Airlines MileagePlus, Asiana Club, Aeroplan, or one of several other Star Alliance programs. 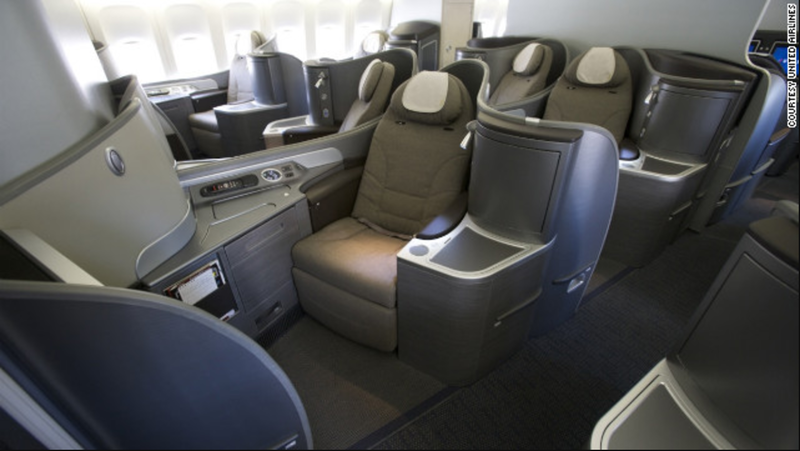 What credit cards can help me earn miles to fly United Airlines first class? There are several credit cards you can use to earn the miles and points necessary to fly first class on United. First, you need to decide which program you are going to use. What do I get when I fly first class? On international first class flights, your journey will start with access to the Polaris lounge or Global First lounge. Between all the good food options available during your lounge time and your flight, you will never be hungry! During your flight, you will also have a lie-flat seat with direct aisle access.